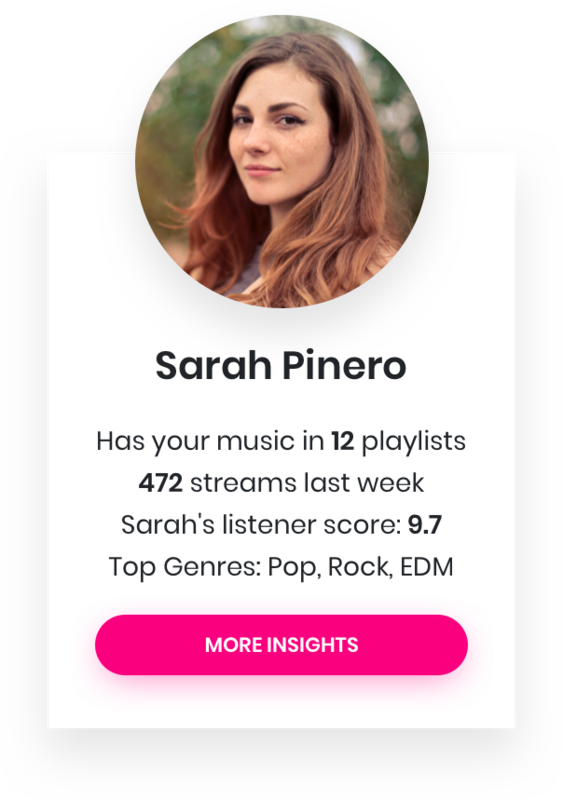 Boost engagement and drive Spotify streams by enabling fans to compare their music taste with yours. Drive Spotify streams, follows, song saves, and playlist creation. 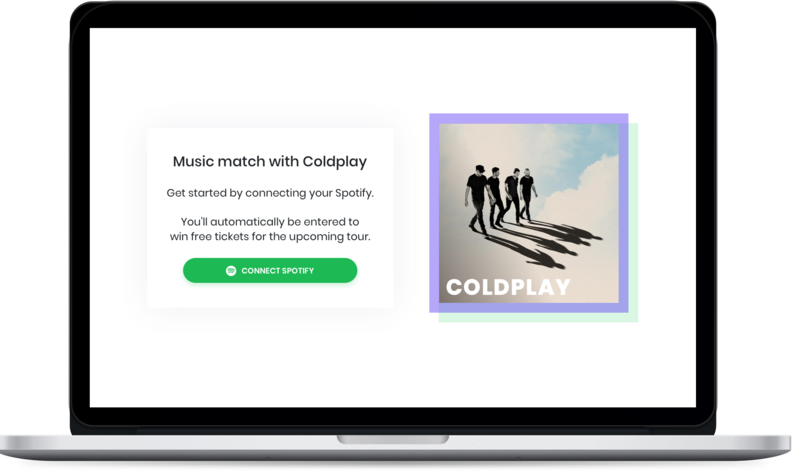 Fans connect their Spotify account and Music Match automatically generates a playlist based on your music taste and theirs. Fans share their personalized playlist on social media to further amplify your campaign. When a fan connects their Spotify, you unlock deeper insights into their listening history. Use this to better understand their listening habits and how you can better reach them. Find out what similar music appeals to your audience and the top playlists they listen to.